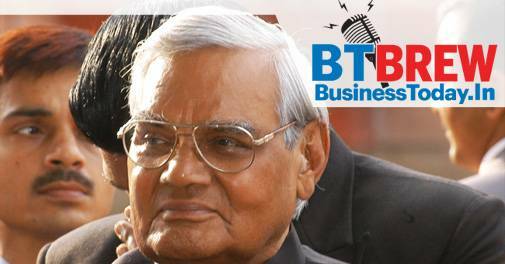 As the nation mourns the loss of former Prime Minister Atal Bihari Vajpayee, it's also time to remember all that he did for India's economy. He started the 'Sarva Shiksha Abhiyaan' with the aim to provide education for all. He made India a nuclear state. Pokhran 2 was conducted during his tenure. He laid the foundation of the Golden Quadrilateral in 1999 for smoother movements of products and people. He's also considered the architect of the telecommunication sector in the country. He established a separate disinvestment ministry. He passed the Chandrayan-1 project. In a pathbreaking move, 3 months after the Mental Healthcare Act, 2017 came into force, the Indian insurance regulator IRDAI has notified insurers to cover medical treatment for mental illnesses. The notice issued on Aug. 16, said that, "every insurer shall make provision for medical insurance for treatment of mental illness on the same basis as is available for treatment of physical illness." The order is applicable on all insurance companies in India with immediate effect. The Mental Healthcare Act, 2017, which came into effect on May 29, is aimed at protecting the rights of persons with mental illnesses during delivery of mental healthcare and services. National Payments Corporation of India (NPCI) has launched UPI 2.0 in Mumbai as an upgrade to the first iteration of Unified Payments Interface (UPI) that debuted in April 2016. The new UPI version has features such as UPI Mandate and Invoice in the Inbox. There are also new security enhancements including Signed Intent and QR that are designed to let customers verify merchants before making any payments as reported by NDTV. Further, there is an option to attach UPI to an overdraft (OD) account. This comes in addition to the existing saving and current account support. Banks that are using the upgrade include State Bank of India (SBI), HDFC Bank, Axis Bank, ICICI Bank, IDBI Bank, RBL Bank, Yes Bank, Kotak Mahindra Bank, IndusInd Bank, Federal Bank, and HSBC. German luxury carmaker Mercedes-Benz said it will hike prices of its vehicles across models by up to 4 per cent from September to offset adverse impacts of rising input costs and upward forex movement. The rising inflation due to geo-political dynamics, coupled with rising input costs and increasing forex rates has been exerting significant pressure on overall operations, Mercedes-Benz India said in a statement. The Central government has asked domestic airlines to keep a check on air fares for flights operating to and from Kerala.The advisory comes as the state suffers from one of the worst bouts of floods in the recent past.According to the Ministry of Civil Aviation, airfare on 18 domestic routes are being monitored. The monsoon fury has hit different parts of Western Ghats including districts of Kerala and adjoining areas in Karnataka. India's crude oil import bill is likely to surge by about $26 billion in 2018-19 as rupee falling to a record low has made buying of oil from overseas costlier, government officials said yesterday as reported by Mint. The Indian rupee opened at 70.25 and plunged to a fresh record low of 70.40 a dollar. Moreover, the weak rupee will also lead to a hike in the retail selling price of petrol, diesel and cooking gas (LPG).